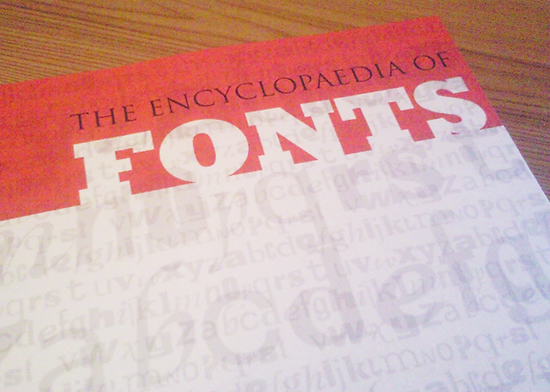 Picked up a copy of “The Encyclopedia of Fonts” last weekend in Chapters Bookstore in Dublin. No Designer should be without this book! Authored by Gwyn Headley, it has an extensive list of fonts. The handiest part of the book is the fact that it includes handy preview images of the font showcasing what it will look like from A to Z. Ive already started using it when designing logos for clients. On numerous occasions a client will contact me and request that I include a certain font in the design I’m working on. No problem there. But normally all I will get is an image of the font and not a name. Its always very hard to find the font on this occasion and Ive spent hours searching online before. Hopefully this book will solve such a problem. It has already come in very useful and I’m finding it a lot easier to specify certain fonts as particular candidates for chosen logos and other designs Im working through. Thank you Gwyn Headley for compiling such a nifty little solution to the age of problem of finding that illusive font! From the Book’s Introduction, “The age of the personal computer has occasioned a flood of new fonts but there has been no equivalent graphic revolution to the invention of sans serif in 1816 or slab serifs in the 1840’s. Today’s trend is to produce variations in weight and style from the basic same design. A font may now appear as lineale, serif, slab serif, monospaced and monocline, with weights ranging from Ultra Light Compressed to Extra Black Extended- creating a complete family suited to all tasks. The Encyclopedia of Fonts traces these developments over time. It provides a visual guide to text fonts- designed for maximum legibility and display fonts designed to attract attention. Chronological listings show how these new ideas have been introduced and how designs have developed. Well informed witty notes reveal the origin of many font names. This is an instant reference for the graphic revolution of the last 25 years”. 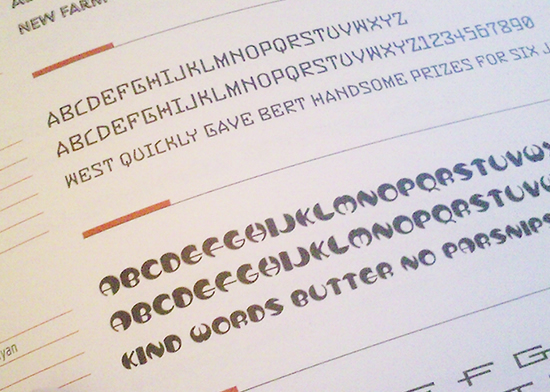 I have discovered many new fonts within this reference, one such being Bobo by SE Norton and Tim Ryan. Its one of the relatively new fonts having been designed in 1995. A playful take on typeography, it signifies a growing resource. This book is highly recommended as a method of understanding the scale and development of the font within logo and graphic design today. I for one will definitely be keeping it on my designer’s desk as a handy reference in future.